A South San Francisco middle school teacher faces felony charges related to lewd and lascivious acts with minors, police said. Christie Smith reports. A South San Francisco middle school teacher faces felony charges related to lewd and lascivious acts with minors, police said. Joseph Goodman Toy, 39, was arrested Thursday at his home in San Bruno following a police investigation. 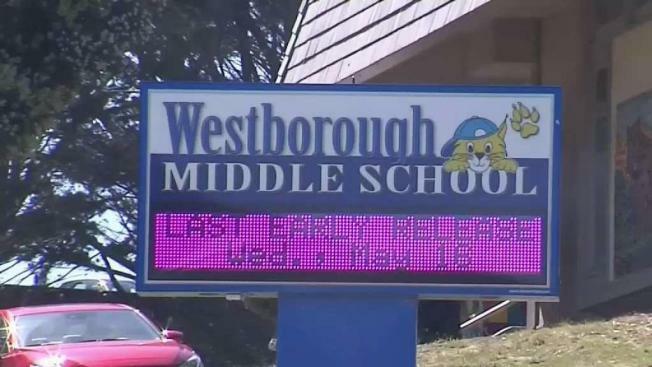 The South San Francisco Police Department started an investigation on April 25 after receiving reports alleging a teacher at Westborough Middle School was having inappropriate interactions with students during school hours. Toy has been a teacher at the school for 13 years, authorities said. He has been booked into San Mateo County Jail. The South San Francisco Unified School District has placed Toy on administrative leave once the initial information was reported on April 25. Parents of students involved were also notified. School district officials are working with police in the ongoing investigation. Anyone with information related to the case may contact the South San Francisco Police Department at 650-877-8900.